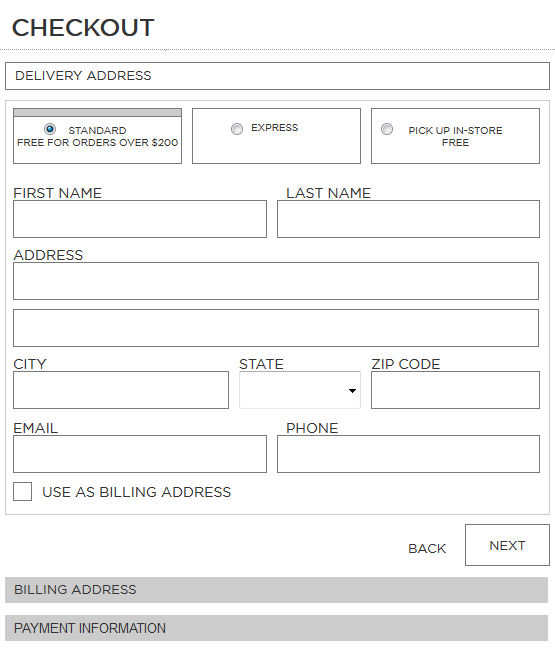 I'm designing an ecommerce checkout process and I would like to get some feedback or other ideas on how to visually display the shipping options for customers. Currently we have 3 options, regular, express and pick up in store. 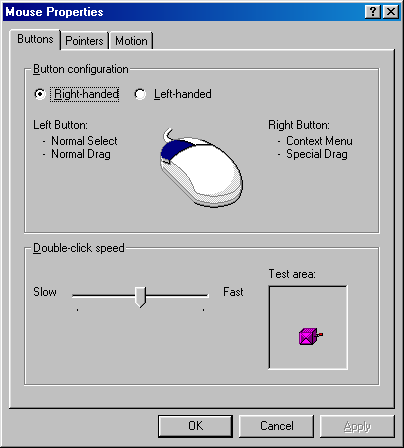 We can use the drop down option and even 3 radio buttons, but I feel those are outdated. Below is a couple of wire frames that I would love to get feedback on. There is a thin grey bar that highlights which option is selected. I also included a radio button as I am uncertain if a user would know whether or not they understand that they can select one of these 3 boxes. This one I created two visual cues, one is a tab selection option and an arrow that highlights which selection the user is on or has chosen. By default, the first option is pre-selected. I definitely like the first option the best. The second one, although it looks nice, it kind of gives the appearance that there will be a different form for each delivery option. Also, if you don't like the radio button, you could use a different visual indicator, such as a green check mark. I don't think that there should three options to choose from in either UI option. Implicitly there are two options for a user in that they can either have their package delivered or they can pick it up in store. I'm also assuming that the information a user would need to enter would be different for an in-store pickup in comparison to a delivery. My recommendation (see below) would be to use the second UI option you displayed with the tabs but go with only two choices in "Delivery" and "Pickup In-Store". 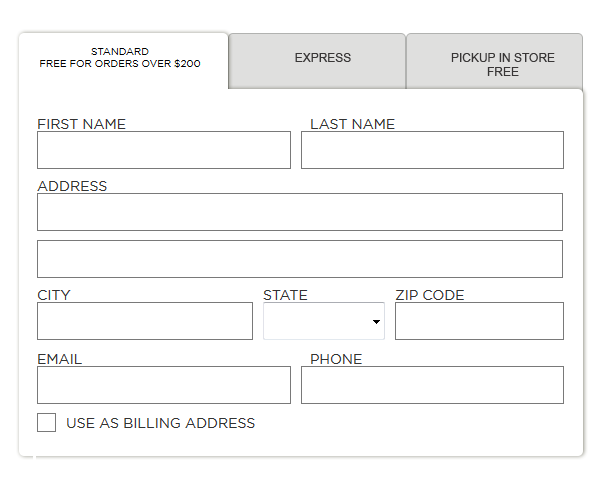 In the "Delivery" tab I would add an opt-in option for "Express" delivery. Feel free to move the "Express Delivery" opt-in option where you see fit (as it's probably not the most optimal location). 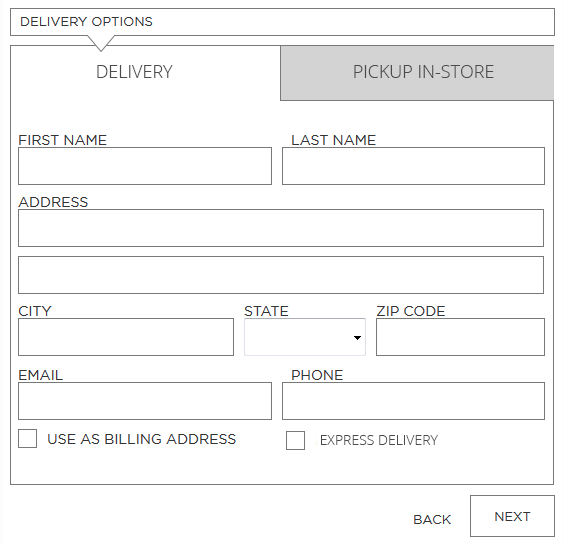 This should cover off the delivery requirements, allow for the user to choose between a simple two options for receiving their package and accommodate for different information that needs to be captured for the delivery options. The radio buttons are better associated with uniqueness of the selection than the tabs. 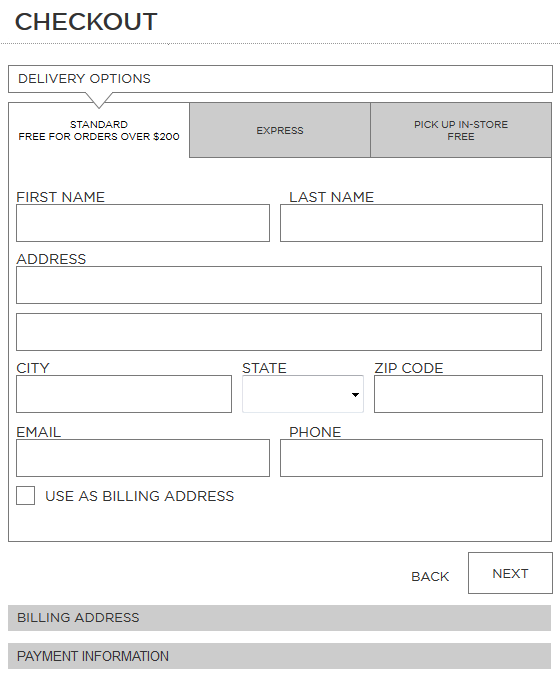 However, I would use none of your options but move the delivery option to the last page just before the user places his order. Currently, you mix the user details with the order details which is confusing. Also, you have only three options now, take in account that you will have more in the future so the space will not be enough so moving it to its own page will save you from redesigns and also give you the option to explain each method in more detail. See how it works at Amazon for example. Your first option is well resolved. It may need some visual work, but it's very clear about its intentionality, without the shadow of a doubt. As for the second, maybe it's a wireframe thing, and that's why it looks a bit "iffy". However, it's a very common and established pattern. It connects with the old filing systems, Rolodex, address books and even school notebooks, so most living persons has been in contact with this behavior many times in their life. The problem I perceive with your wireframe (and again: it may be just a wireframe thing) is that you lost that connection from a visual point of view. As you can see now, the connection is back by adding depth with shadows and rounded corners (which according to Contour Bias concept helps to ease friction). Not the answer you're looking for? Browse other questions tagged e-commerce selection radio-buttons checkout shipping or ask your own question. Better purchase conversions for single page vs. multiple? Why is it impossible to deselect HTML “radio” inputs? How to convey set inclusion and exclusion? Making a button appear after an action - good or bad? User selection for min bedrooms and max bedrooms - radio buttons?